New threat of Rate hikes… it’s called Finance Minister Flaherty. The Federal govt of Canada and the Bank of Canada are supposed to operate independently. The Minister of Finance gives the Bank of Canada its objectives or its mandate. And the Bank of Canada is supposed to carry out that mandate. The dotted line is supposed to allow the Bank of Canada Governor to exercise his/her powers without fear of political influence. But our current Finance Minister, Mr. Flaherty, doesn’t seem to like those rules. He has repeatedly opened his mouth at inopportune times. Take last year, for example, when he publicly criticized Manulife Bank and BMO for advertising a 2.99% 5 yr fixed rate. He actually asked them to pull those ads! Not that they were the lowest 5 yr fixed rates at the time, but they were the lowest advertised rates by a major BANK. (as my regular readers know, mortgage brokers had lower rates… as they usually do). And this week he was quoted as saying “there’ll be some pressure there for that to happen”…. referring to the OECD and IMF suggestions that Canada should raise interest rates. These sort of comments are out of line and can cause panic in the market. Already, we have begun to see articles and reports about possible interest rate hikes. And on Tuesday, the Bank of Canada Governor, Stephen Poloz, seemed to change his stance on keeping interest rates low this year. He was quoted on the CBC News saying we can expect long-term interest rates to rise later this year. There’s a lesson to be learned here. History tells us that whenever there is talk of possible interest rate hikes, the real estate market doesn’t go quiet. It actually increases sales activity and prices. Potential homebuyers rush to lock in their rates for fear of paying a higher interest rate later. I’m sure real estate agents and mortgage lenders are quietly thanking Mr. Flaherty for potential new flow of business that will undoubtedly be coming in the months ahead. Here’s what this really means for borrowers and homeowners. First, don’t panic. Over the past 3 decades, Variable rate mortgages have clearly been the best mortgage product to be in. Variable Rates have consistently been lower than any Fixed rate product (88% of the time according to the Milevsky study). And I’ve been a strong advocate of choosing Variable Rate….except for late 2008 and the Spring of 2013 when Variable rate wasn’t priced well and Fixed rates were a better option. Today, Variable Rate is a good choice for many of us. Just remember, not all mortgages are alike. The terms, privileges and options will vary. And borrowers are not all alike, too. Their needs, goals and objectives are different. I strongly recommend speaking with an experienced Mortgage Broker before making any decisions. Get professional, unbiased advice. Previous Previous post: How to get rid of Holiday bills and start building wealth. Next Next post: TD car loan rates at 25%!! Over 4000 comments! 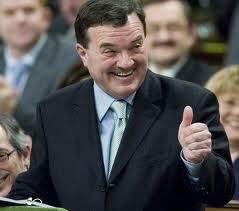 CanadaMortgageNews.ca New threat of Rate hikes… it’s called Finance Minister Flaherty.